Adore Earth Holistic Studio: All types of massage. Start with steamer and inhaler with dried herbs for ten minutes. Face mask with different kinds of Bulgarian natural clay for every need. Face and thymus gland massage with thyme oil for anti-stress effect. The procedure finishes with a few drops of neutral tonic with extract of green tea and hyaluronic acid without alcohol. Oil contour for the eyes with chamomile and rose oils. 50 min – 25 euro. 3. Massage procedure on the 12th meridians in the whole body system. *for each procedure a kettle of herbs with rich aroma for inhalation in prepared..
*for each procedure Greek olive oil with dried herbs is used. Relax body massage 50 min. / 30 euro. Relax a part of the body (back or legs) 30 min. / 23euro. Sport body massage 45 min. / 38 euro. Sport body massage for a part of the body 30 min. / 20 euro. 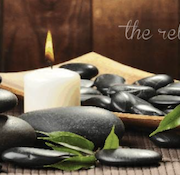 Reiki massage 50 min. / 40 euro. Anti-cellulite massages 40 min. / 30 euro. Massage with honey on the back 30 min. /23 euro.